We’ve said it before and we’ll say it again: Baconfest Chicago is NOT merely a celebration of Bacon-gluttony, (though yes, that’s undeniably the huge selling point – we understand.) For the third straight year, we, the Baconfest Triumvirate, along with our roster of fantastic sponsors, vendors and guest chefs are coming together to support a charity partner we deeply believe in: THE GREATER CHICAGO FOOD DEPOSITORY (GCFD). We are thrilled to collaborate with an organization doing such valuable and necessary work providing food for hungry people while striving to end hunger in our community. Feel free to read more about our partnership with the GCFD here. In addition to our donation from proceeds, we are also co-hosting a Food Drive and Raffle for the GCFD at the event. 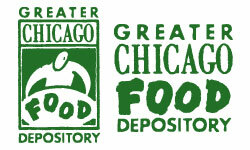 On April 14th, please bring donations of non-perishable food with you to Baconfest Chicago 2012 for our Food Drive. Why? A la Card Chicago – deck of 52 cards–just like playing cards–each describes a unique chef-driven, owner-operated restaurant and is also a $10 gift certificate to that restaurant. Dreymiller and Kray – Gift boxes of an assortment of their bacons (all delicious). Got tix for BFC on Saturday? Toss a few cans of food in a bag and bring them down to the Food Drive for some raffle tickets! Best, most Bacony raffle in town, guaranteed! Thanks Bacon Nation. See you Saturday!